Labour this afternoon lost a House of Commons vote on plans to scrap apprenticeships of less than two years’ duration and below level three. Following a heated opposition day debate in Parliament, a vote on a motion calling for the new standards was defeated 294 votes to 218. 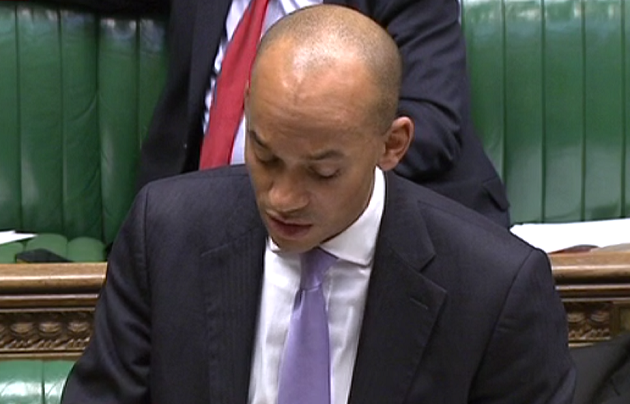 The motion, submitted in Labour leader Ed Miliband’s name and supported by Shadow Business Secretary Chuka Umunna (pictured) and Shadow Skills Minister Liam Byrne, was criticised by government ministers and MPs who accused the opposition front bench of “dismissing” level two apprenticeships. He said his proposals were not about doing away with lower level apprenticeships, but re-branding them. He also said he would give local councils more power over apprenticeships, including over enforcement of the minimum wage. 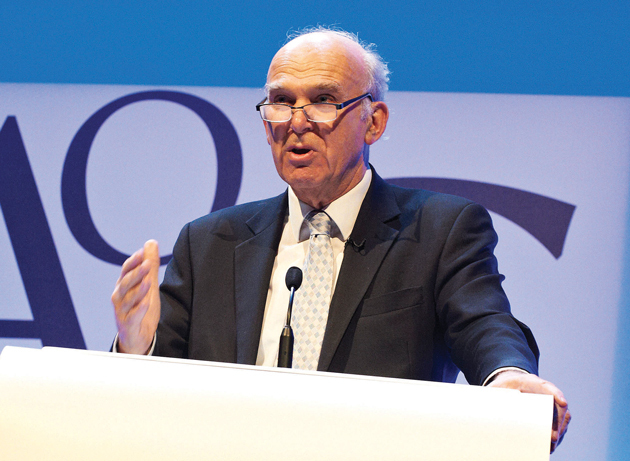 Responding on the minimum standards issue, Business Secretary Vince Cable said: “I think there is an important point about levels. I think the honourable gentleman dismissed too easily the value of level two apprenticeships. “He seemed to imply that these were not quite apprenticeships, but actually there is quite a lot of statistical evidence that people who do a level two apprenticeship and no more have significantly higher earnings than people who don’t go through that channel. “I think the figure is 11 per cent over a three to five-year period. There are a lot of very import trades, bricklaying for example, where a level two is a valuable progression into a badly-needed occupation. As well as calling for the proposed minimum standards to be implemented, the defeated motion also called for concern over the fact apprenticeship starts among 19 to 24-year-olds has fallen by 6,270 in the past year and called on the government to use money already spent on procurement to require suppliers for large government contracts to offer new apprenticeship opportunities. 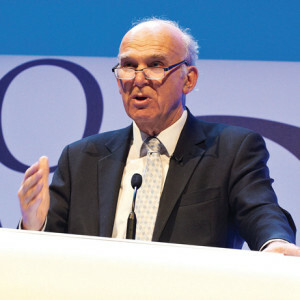 Mr Cable used the debate to defend the government’s record, and said he had acted to protect FE spending as much as possible in the early days of the Coalition Government, despite having to take a “political hit” after raising tuition fees for university students. He said: “When I came into office I was told that there were plans by his government had they returned to office to cut my department’s budget by 25 per cent. That was all very clear, and indeed we’ve had to confront that. “This is a budget which is dominated by higher education and adult skills. The advice I got, particularly from opposite in a particularly shrill and angry way, was ‘you must give priority to undergraduates’. We must not forget the fantastic job the last Labour government did in re-positioning and energising apprenticeships at the heart of both FE and the country’s skills policy. It is sad therefore that their current approach is ‘missing the point’. Apprenticeships are not a government programme aimed at reducing youth unemployment (though they contribute to that need). They are a systematic method of delivering workplace training, designed by employers, to ensure British industry and commerce are able to compete internationally. They are exclusively designed for employees and available to any employee – of any age – who needs to develop their skills. They are rightly available for workers of any age and level, and should enable workers reach a pre- agreed level of competence, as soon as practicable. Employers have a massive need for skilled workers at all levels 2,3,4 and higher, and a properly designed apprenticeship has been proved for centuries to be the best way of doing this. No limits on age please. No limits on levels please. No rigid and restrictive limits on duration please. Just employer designed programmes with appropriate levels of competence spelled out in the programme and unbendingly applied and assessed. So Labour’s desire to re-define apprenticeships as level 3 up, and arbitrarily set a time-serving minimum of 2 years is just misguided. Level 2 apprenticeships are valuable in lots of sectors, parents encourage their children to be an apprentice because they see it as a valuable career path. There are many young people who aren’t ready for level 3 at 16 or 17 and if we re-branded level 2 as something else would parents still encourage their children to apply? Personally as a parent my son started with level 2 then progressed to level 3 now he’s applying for university but able to continue to work part time with the skills he learnt from his apprenticeship. Would I have been so encouraging if it didn’t have the fantastic prestige branding on an apprenticeship. Don’t make apprenticeships elitist – they are a great starting point for many young people who don’t want to be in the classroom at 17.